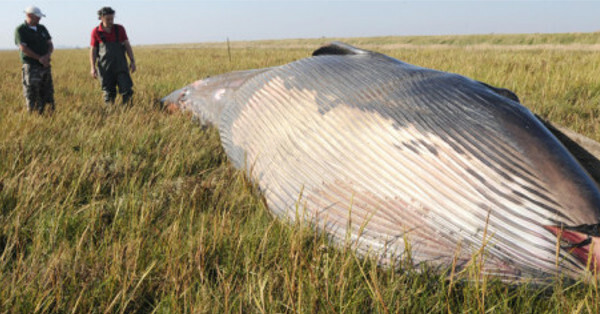 6 Comments on "Mysterious Remains of A Whale Found in a Field in Utah"
there is no whale gonna live in GSL nothing lives in the GSL ! The moron seems to enjoy saying red neck often. I guess it’s a new word he learned in his illiteracy class and he’s just trying to memorize it. There are only 4 helicopters in the U.S. that can carry that much weight. All 4 belong to the US Military. So there is your answer on what can move that much weight. Now why in the hell was it that far from land? I meant that far from the ocean. Wow, the comment section on this article is a disturbing display of idiocy. What about the whale? This beautiful creature is the victim here and had been desecrated by someone. This someone needs to be held responsible, this is a crime.